It’s not too hard to measure the position of a star on the sky: just look up. But the projection of a star’s position on the sky only provides a position in two dimensions (astronomers typically use right ascension and declination, the astronomical analogues to longitude and latitude, respectively). What remains is the distance to the star. To measure such distances, astronomers observe the position of a star at multiple epochs. As the Earth moves around the Sun, the relative positions of stars on the sky change due to a change in viewing angle, a phenomenon known as parallax. Measuring parallaxes (distances) to the stars is important throughout astrophysics. To determine stellar masses, stellar positions in a color-absolute magnitude diagram (such as the H-R diagram) are analyzed; absolute magnitudes can only be ascertained by measuring the observed brightness (or flux) and distance. Without information about the distances to stars, we would be unable to estimate masses of stars. Other physical properties of stars (metallicity, radius, surface gravity) are also distance-dependent. To understand stars in our galaxy well, we must understand the distances to them very well. The study of measuring positions of stars in the sky (including such distances) is called astrometry. In the early 1990s, the European Space Agency launched the Hipparcos satellite (named after the father of astrometry). This telescope measured parallaxes for about 100,000 stars. 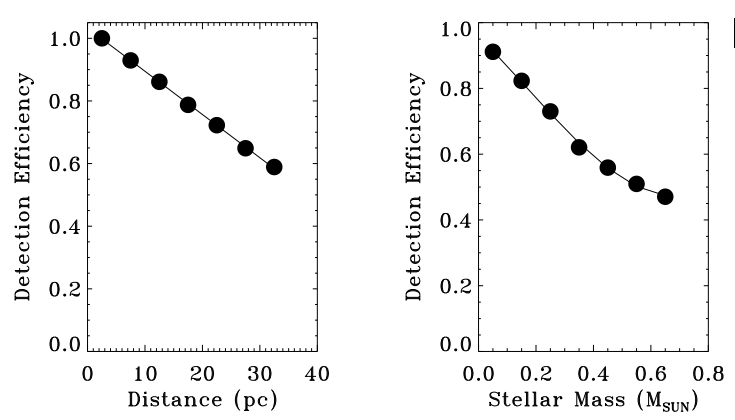 These parallaxes allowed us to measure distances for all stars within 100 parsec (and bright stars within 1000 pc!) to within 10%. Hipparcos has been incredibly important for astronomers. The original data release has been cited more than 1600 times! As impressive as this mission has been, it’s now 20 years old: we can do better. In this case, “better” is manifested as the Gaia mission. Slated to launch on November 20, Gaia will observe more than 1 billion stars, observing the position of each one 70 times over 5 years. For the nearest stars, this will allow distances to be measured to 0.001%, and will measure distances accurate to ~10% for stars as far away as the galactic center, 10,000 parsec away! Gaia, by producing observations of a billion stars across our side of the galaxy, will usher in a revolution in astrometry and galactic science. The authors of today’s paper, however, focus on another potential application: planet hunting. As we’ve noted previously, astrometry is most sensitive for detecting giant planets a few AU from their host stars, where both radial velocity and imaging surveys are incomplete. These authors note that recent studies suggest around 6.5±3.0% of M dwarf stars (stars smaller than 0.6 solar masses) host Jupiter-mass planets, and set out to determine if Gaia could detect such companions. 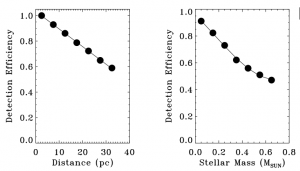 Planet detection efficiency as a function of distance to the stars (left) and stellar mass (right). 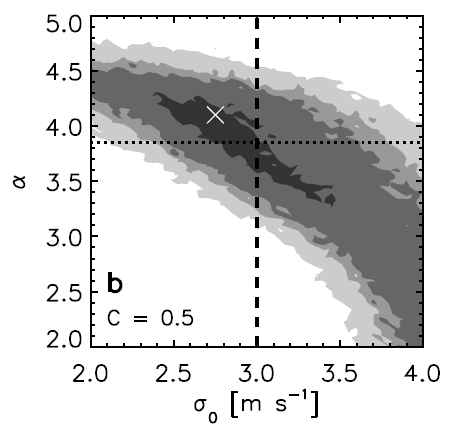 Gaia is most sensitive to detecting planets around the nearest, least massive stars. As a planet and star orbit their center of mass, both objects trace ellipses on the sky. Careful observations of a star over many epochs allow this ellipse to be separated from the parallactic motion Gaia was designed to detect. Since it will probe each star in its sample 50 times, Gaia should collect enough data for these two movements to be easily separated. To test this, the authors injected artificial Jupiter-mass planets around each of the 3150 M dwarf stars within 33 parsec. They assigned random orbital elements for each planet’s orbital parameters and let the planet orbit the star, then “observed” its position on the sky 50 times, estimating the expected performance of the Gaia pipeline. Finally, the authors compared the parameters of the planets detected by the Gaia software to the known parameters of the planets they injected. By testing their injected planets with the Gaia pipeline, the authors find they recover the majority of these fake companions. They detect excess variability in the parallactic signal due to orbital motion around 85% of the sample!. As expected (right), they are most successful at finding Jupiters around the most nearby stars (where the parallactic signal is large and easily separable) and the smallest stars (where the Jupiters are comparatively massive, so the elliptic signal is large and easily separable). For more than 80% of these stars, they find they can measure the planet’s mass to within 10%. 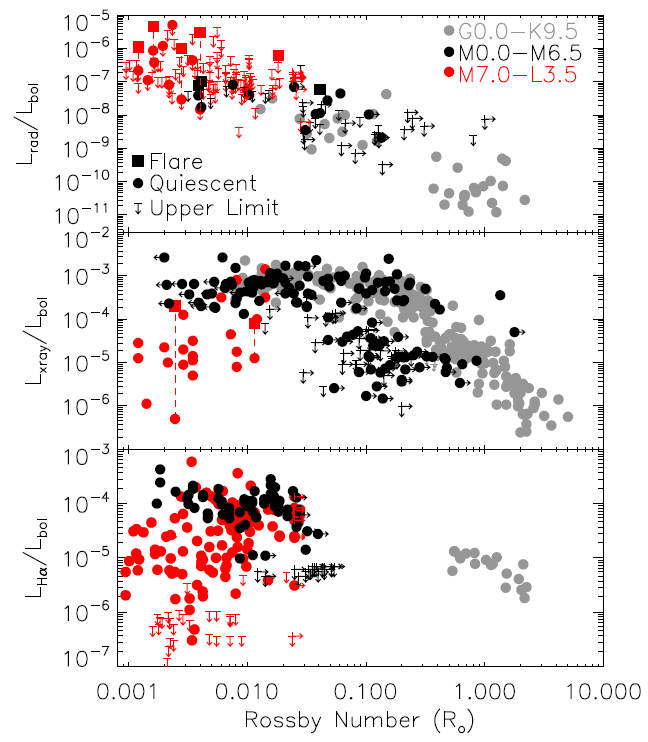 Not all M dwarfs host giant planets, but Sozzetti et al. estimate that, from the 3150 most nearby M dwarfs, Gaia will detect about 100 new giant planets. Moreover, from the sample of M dwarfs within 100 pc, the authors suggest Gaia will find 2500 new planets. Unlike Kepler, which generally only provides estimates of planet radii and orbital periods, many of the Gaia planets will have their full orbits determined. These will be the first planets detected by astrometry (although a few planets detected via other methods have been confirmed by astrometry. The Gaia mission will also allow for unprecedented analyses of planet formation, evolution, dynamics, and populations around the most common types of stars in our galaxy. Are planets discovered by astronomy. DENIS-P J….b is actually a brown dwarf, since it has a mass of ~28 Jupiter masses. For HD 176051 I’m being a little pedantic, as we know there is a planet there from astrometry, but we don’t know which star it orbits, and therefore what its properties are. It will be the first planet found by astrometry, as soon as we figure out where it is! We appreciate the careful eye, thanks for keeping us on our toes! It is great that Gaia will have the ability to detect things that it was not intended to detect. On the other hand, once the Gaia survey is completed and we have new data on stellar positions and proper motions, it will revolutionize occultation astronomy and we will be able to precisely measure the size and shape of literally thousands of asteroid every year. Onward Gaia.